The Bond Fusion system has 3 phases: Bond Builder, Bond Enhancer, and Bond Recharger. Phase 1, Bond Builder can be used with salon color and it works by using the same proteins your hair is comprised of to protect and strengthen your hair. After just one treatment, your locks will feel SHINIER, SILKIER and SOFTER. Phase 2, Bond Enhancer can be applied all over your hair after your salon color is rinsed out or as a stand-alone, in-salon treatment. It works by restoring and replenishing the new bonds that were created in the first phase…making that shiny, silky hair last even longer! Phase 3, Bond Recharger is a take-home treatment that if used once a week for only 5 minutes will continue to prolong your in-salon treatment. This final phase creates a protective layer fortifying your strands, prolonging the benefits of phase 1 and 2 and keeping your hair in its best condition in between salon visits. Whether you have virgin hair, platinum blonde or copper red, straight or curly hair, your hair will most certainly benefit from Bond Fusion. For those of us who are not hairbrained, I’ll sum it up for ya! Bond Fusion is a must. 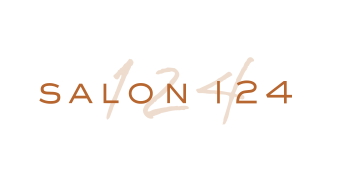 From Balayage to root touch-ups, Bond Fusion can be added to any color service, and best of all, it will not add any processing time! With the help of our experienced *Hairgicans*, you can achieve all of your dream #hairgoals. Ladies, this will become your best friend. Whether it’s Elsa’s icy blonde, Ariel’s fiery red, or Pocahontas’ midnight black, we can help without jeopardizing the integrity of your luscious locks. Striving for that #MermaidHair or super fun bleached pixie, Bond Fusion will leave your hair feeling healthier and more manageable. Did we mention it’s not just for colored hair? 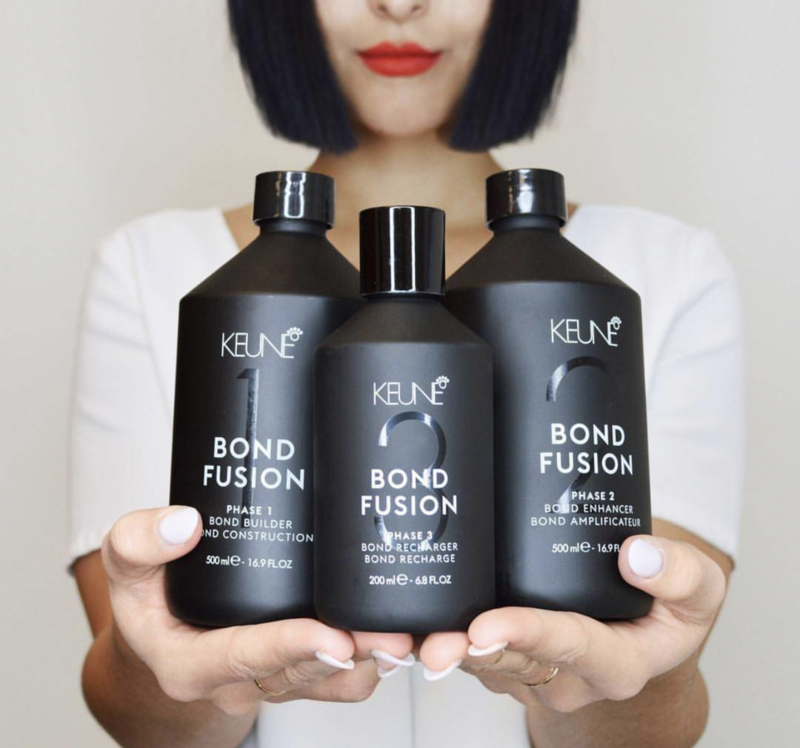 Building bonds identical to keratin bonds already found in the hair make Bond Fusion perfect for hair that suffers from heat damage or just wear and tear from rocking that ponytail and top-knot. Are you like me and love to flat iron every single strand trying to tame those pesky fly-aways? Or are you just nervous about your daughter’s first highlights? HAVE NO FEAR! Bond Fusion Is Here! The goal of Bond Fusion is not only to strengthen but also to rebuild the Keratin proteins in your hair. These proteins are essential to healthy hair. A chemical service can sometimes be scary, but with the addition of Bond Fusion it does not have to be. This new technology is something that we have not had access to before, hence why we are super excited to share it with you! By repairing, replenishing, and preserving these important bonds from the inside out, Bond Fusion creates an IMEEDIATE, noticeable difference in the health of your hair. After just one treatment you will see a reduction in breakage and frizz, making styling a breeze, thus making your morning better, which basically makes your life better. There you have it, folks. Bond Fusion makes life better. Lol I guarantee you won’t be able to stop running your fingers through your tresses. And did I mention it smells amazing? This product also has no parabens and is sulfate free for you crunchy granolas. The entire three-part system is totally safe on any Keratin Blowout or Smoothing Treatment you may get in-salon as well. Ready to discover the power of Bond Fusion? Wanna give your crown some extra TLC? Stop into any of our six convenient locations today! Give us a call to schedule your appointment. 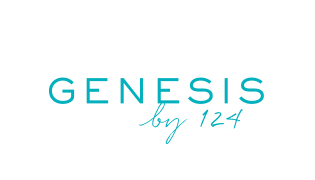 AND for a limited time, book your Bond Fusion service in-salon and receive 20% off Bond Fusion’s Phase 3 take-home treatment!